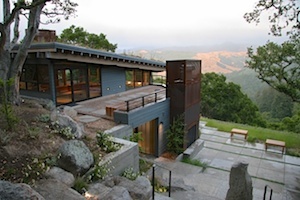 Set in the beautiful Santa Lucia Mountains of Carmel, Ocho strives to blend in with its natural surroundings. 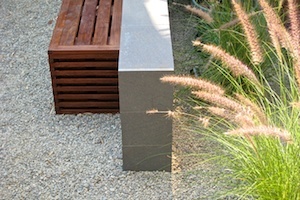 Native plants form the basis of the design reaching out from the home site to join the distant landscape. Cut into a steep slope, this small garden provides a quite respite to sit and contemplate the changing reflections across polished stone ponds. Stainless steel screens with Japanese rice paper embedded glass form the backdrop for this urban roof top garden, providing glimpses to the city beyond as well as privacy where desired. 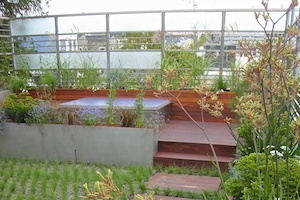 A spa, native bunch grass lawn, and raised planters are all incorporated into this small urban roof deck.